Le Bounty is a Fully registered Business In France so you fish legally and safe. 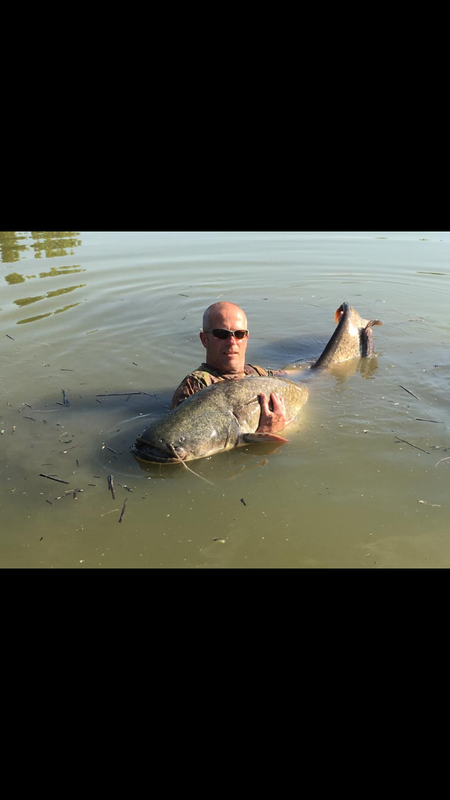 Never fish a venue that is not a registered business in France.....you will be breaking the law - its your responsibility to ensure the venue is legal . ....................Fully equipped 3 bedroom lakeside mobile home available with full Sky+ package and BT Sports for hire. ......18' di X 4' deep round swimming pool for use only by people booking the mobile home (and staff). Bench table seating has gone replaced with table and chairs. New Fridge Freezer and Microwave is built in. ..........You can book a ferry from most ports through the link on our web site (and you don't have to be coming to Le Bounty). Non fishing Guest �50 per week. Dads & Lads-under 16 4 rods �440 including food. 50% discount on same year full week return trip. (can only be booked when at the venue or after your 1st trip). On Google Maps type (or paste) Etang des Cheres, 72220 this will show you the venue. You can then get your own directions from your ferry port. ................................................For more up to date news and photos please visit our Facebook site Bounty Lakes. I understand they got 2 hours sleep Ken but well pleased! Jeeze! They must be knackered! We only went for a few days had a few and a few small cats, mate had a couple of low 30s and more than me, I was behind the island he was to the side and the fish got down his margin a fair bit. Water level can be lower at that time of year if there hasn't been much rain. It doesn't affect the fishing at all though - nothing to be worried about. Jesus - was hopeing for a bit more depth than that. Going early June - how did you get on ? Hi - can anyone give us some idea about the depth of water in willow 1 on B3 please ? Also - how deep is it in the margins immediately in front of the swim ? Nice fish.... cheers for the info. Looking forward to getting out there now, fished B2 a couple of years back. Had a great week on there, fancied a crack at the other lake, all the lads on there caught well and some great fish so fingers crossed. This is me standing in the barn bank swim.Im 6ft so I�d say it�s 4.5 to 5ft. I went a couple of weeks ago and it�s had a few inches more on it due to lots of rain. Can anyone give me some idea of depths of water in front of barns bank pegs 123 on B1... is it uniform across the whole width of the lake. Or is there any deeper areas? I have a deeper so will do my homework when I get there, but on the count down now, just five weeks to go , so trying to get as much info as poss. Best advice is to go 50/50 on the boilies, to see what one is working.